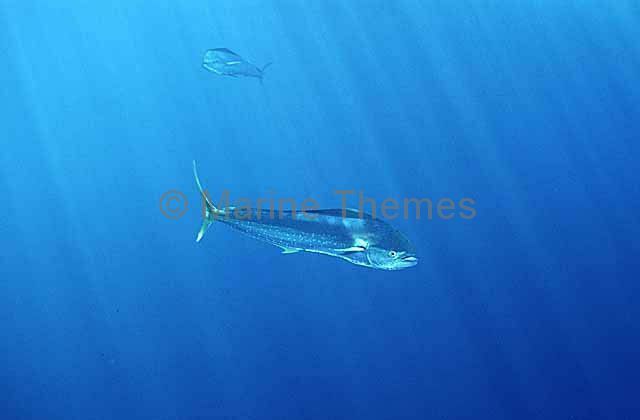 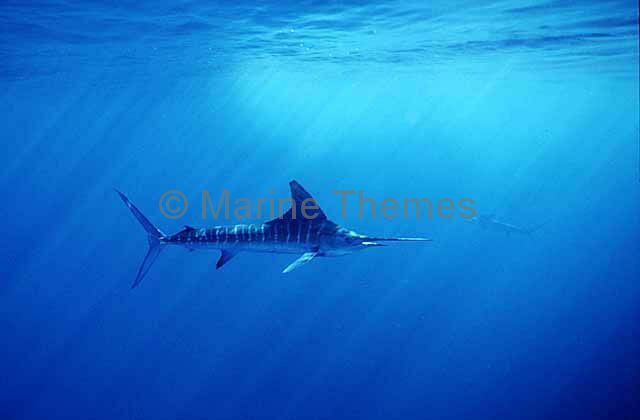 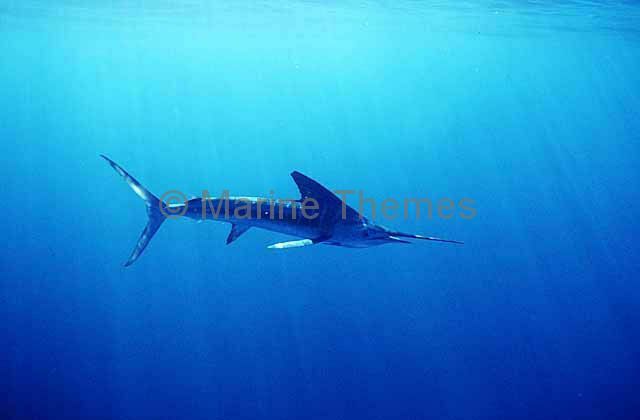 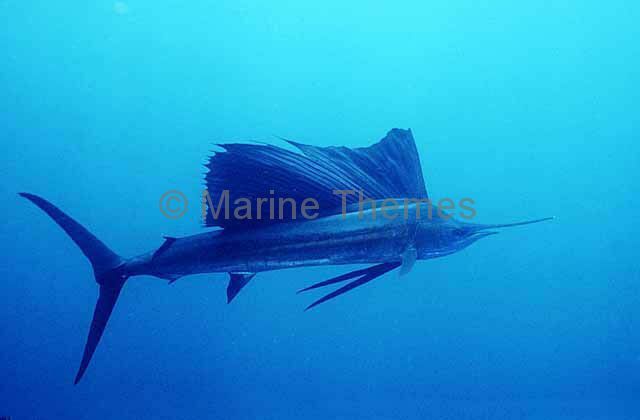 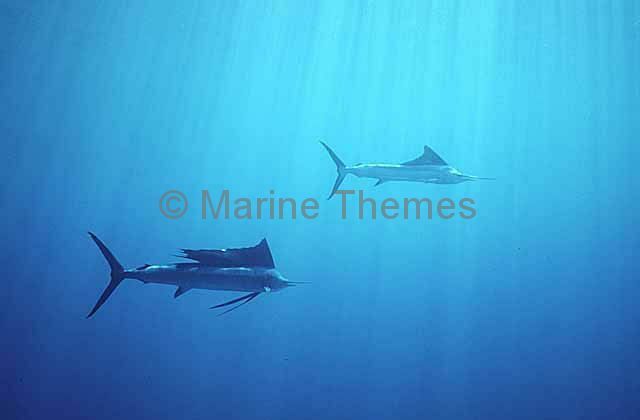 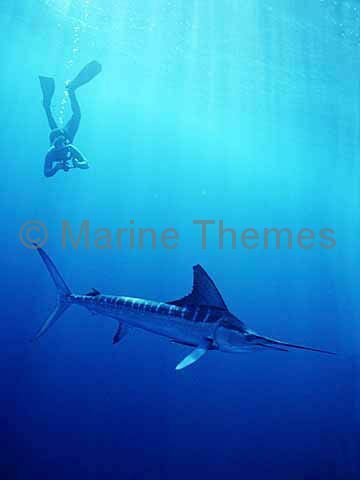 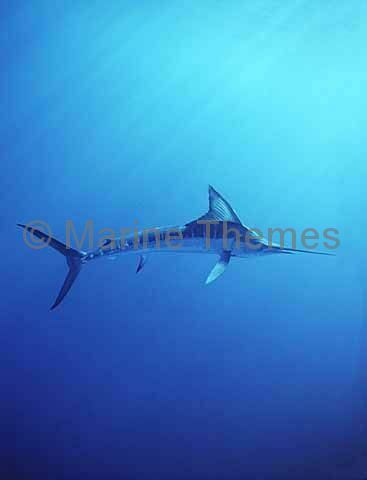 Striped Marlin (Tetrapturus audax) with diver. 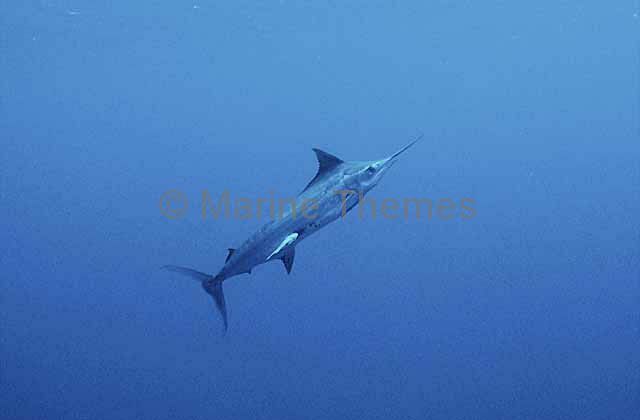 Blue Marlin (Makaira mazara) leaping. 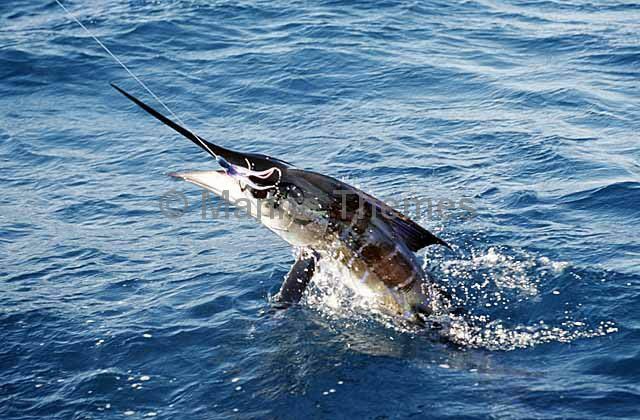 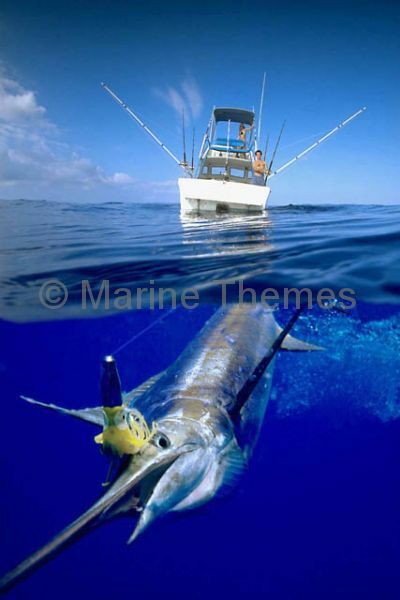 Atlantic Blue Marlin (Makaira nigricans) and angler. 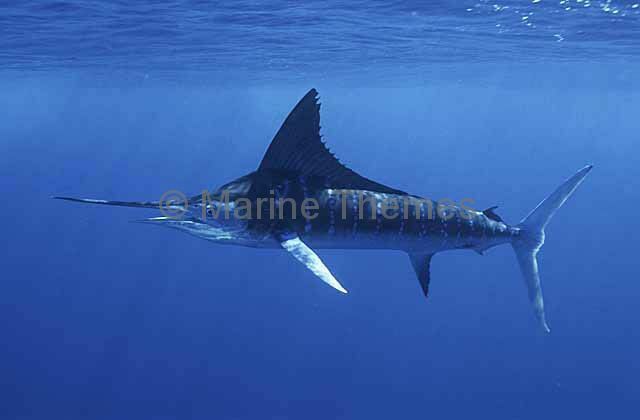 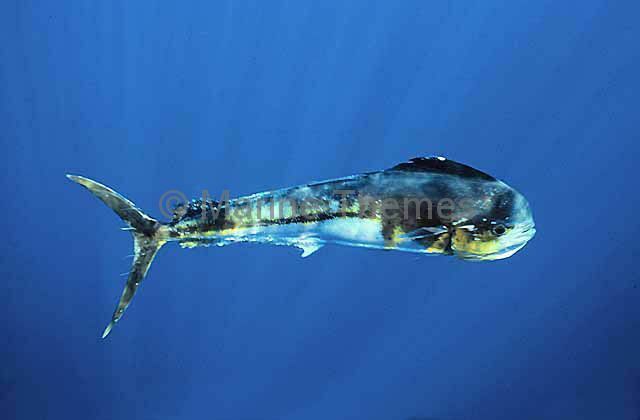 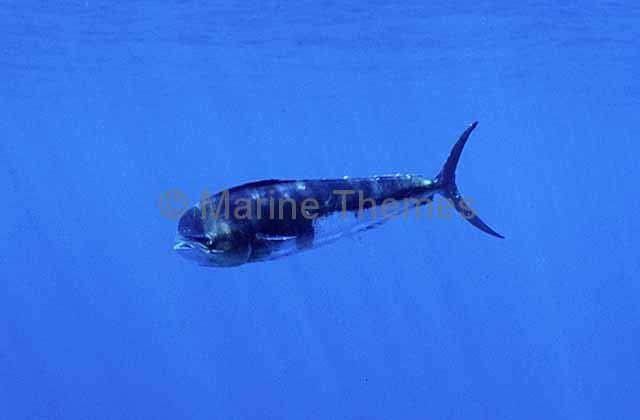 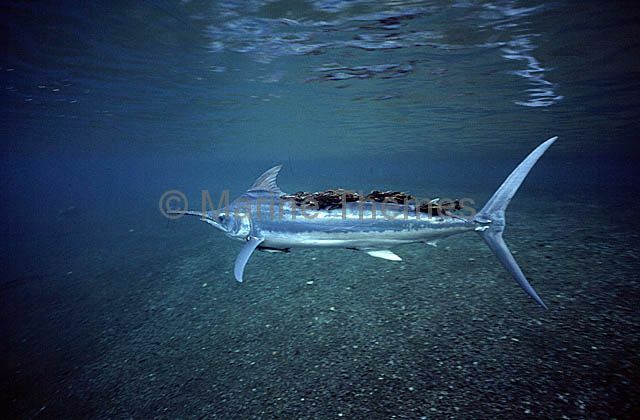 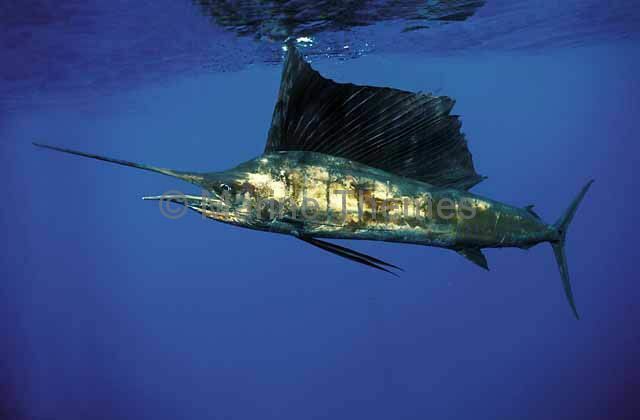 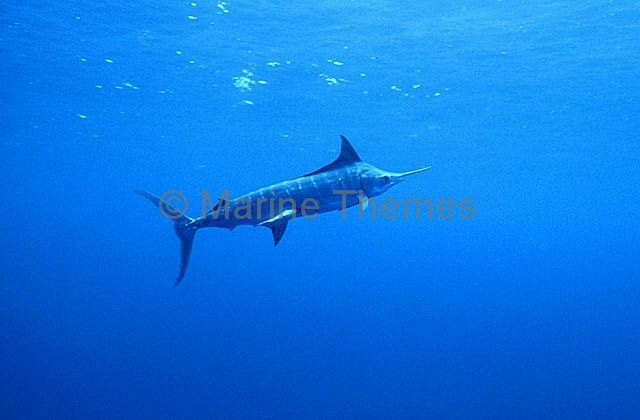 Indo-Pacific Blue Marlin (Makaira mazara) with parasites attached to dorsal surface. 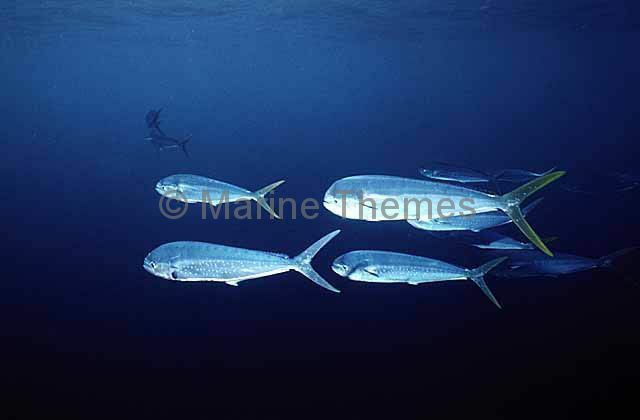 Mahi Mahi (Coryphaena hippurus) or Dolphinfish. 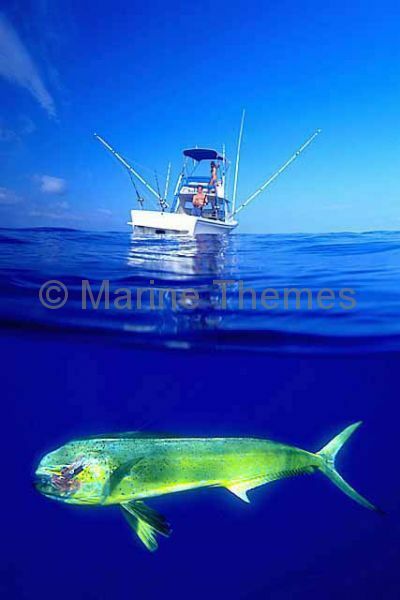 Mahi Mahi (Coryphaena hippurus) or Dolphinfish being reeled in by angler. 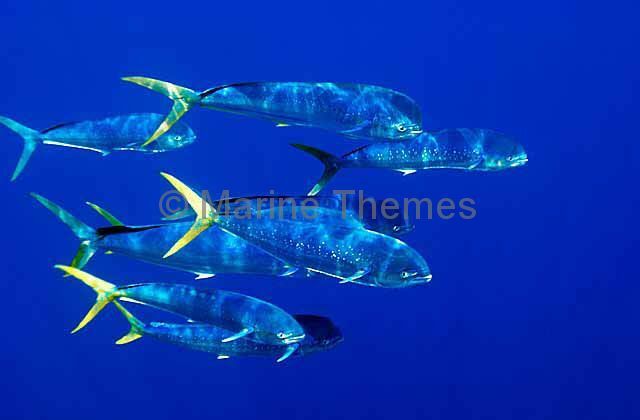 Mahi Mahi (Coryphaena hippurus) or Dolphinfish schooling for protection in open water.